The first question to be asked about this division is, what exactly do you call it? That might sound like a trivial issue but even though I have always labelled it as light-middleweight, many American entities have called it junior-middleweight, while a third category is coming to prominence: super-welterweight. I think for the purposes of this article we shall go with the latter. One thing that is not in dispute is the weight limit which is 154 pounds. Like the cruiserweight or super-middleweight divisions sometimes the super-welterweight class is viewed as the poor relation of its more established contemporary divisions like welterweight and middleweight. However, at the moment there are some excellent champions and very worthy contenders knocking around. Jermell Charlos holds the WBC belt that he took possession of by knocking out John Jackson in 2016 (the belt was vacant). He made two quality defences, against Charles Hatley and Erickson Lubin, winning both by knockout. In his next outing Charlo boxes perennial contender and one-time champion Austin Trout in early June. Trout is tricky and experienced enough to give Charlo some problems, but the younger man should prevail. The WBO title was brutally ripped away from Saddam Ali recently by unknown quantity Jaime Munguia. The Mexican was huge for the weight and dwarfed Ali, who in truth is only a blown up 147-pound fighter who scraped up the remains of Miguel Cotto to take the title. Munguia came in at short notice when Liam Smith pulled out and he showed why he would’ve been a decent test for Gennady Golovkin, only for the Nevada Commission to reject the proposal and sanction Vanes Martirosyan instead. The IBF and WBA ‘Super’ champion Jarrett Hurd is a big unit for the weight as well and if he fought Munguia it would be a real battle of the beasts. Hurd walks his opponents down with constant, stalking pressure and his resilience and consistency was enough to defeat slick Cuban southpaw Erislandy Lara in their recent fight. Little-known Argentine Brian Carlos Castano holds the world title (the WBA always need to have about five different belts on offer) and holds wins over Michel Soro and Cedric Vitu which is good form. The division is relatively hot right now, with some solid contenders on the periphery of world title shots. Other contenders of note include Kell Brook who returned to defeat Sergey Rabchenko and has his eye on a possible WBA title shot. Kanat Islam is a hard-punching Kazakh based in California and Erickson Lubin will be looking to regroup after he was potentially exposed in the first round by Jermell Charlo. Looking at some of the more recognisable past champions, the legendary Oscar De La Hoya jumped around the weights throughout his illustrious career and perhaps his most prominent win at the weight was an 11th-round knockout over bitter rival Fernando Vargas in 2002. Younger Vargas had craved the opportunity to put one over on Oscar after a perceived incident back in their training days when Vargas accused De La Hoya of belittling and disrespecting him. Oscar, on the other hand, said he would never box Vargas and give him the huge guaranteed payday that the Golden Boy’s name always generated. He conceded and was having issues with Vargas before Fernando’s gas tank dramatically emptied and Oscar finished him off. De La Hoya also recorded wins over Nicaraguan motormouth Ricardo Mayorga, Spanish veteran Javier Castillejo and Mexico’s Yori Boy Campas. Oscar lost to Floyd Mayweather and Shane Mosley (rematch) both at super-welterweight. After beating De La Hoya, the aforementioned Mayweather dropped back down to welterweight before returning to 154 some five years later to defeat Miguel Cotto. He beat Saul Alvarez at the weight and Marco Maidana in their rematch, making a strong case for super-welterweight being Floyd’s most fruitful division. Floridian road warrior Ronald ‘Winky’ Wright cemented his legacy at super-welterweight. He enjoyed separate WBO and IBF reigns at 154 and twice beat ‘Sugar’ Shane Mosley. Thomas ‘Hitman’ Hearns was undefeated at super-welterweight. He took the scalps of Roberto Duran and Wilfred Benitez during his stint at the weight. Hearns dropped back down to 154 after being knocked out by Marvin Hagler in their 1985 all-time classic slugfest. Excellent Puerto Rican Benitez lost a tight majority decision to Hearns but had previously enjoyed his own victory over Roberto Duran. Benitez also defeated 23-0 Carlos Santos and starched Londoner Maurice Hope in defence of the WBC crown at super-welterweight. Before moving up to middleweight, Jamaican ‘Bodysnatcher’ Mike McCallum reigned supreme at super-welterweight. Knockout wins over Milton McCrory, Julian Jackson and Don Curry show just how good the underappreciated champion was. McCallum even fitted in a win on the road in Italy, defending his WBA strap. Finally, ‘Terrible’ Terry Norris was far from terrible and he campaigned at super-welterweight his entire career. Norris was supremely talented but flawed as his defeats to Simon Brown, Julian Jackson and Luis Santana would indicate. 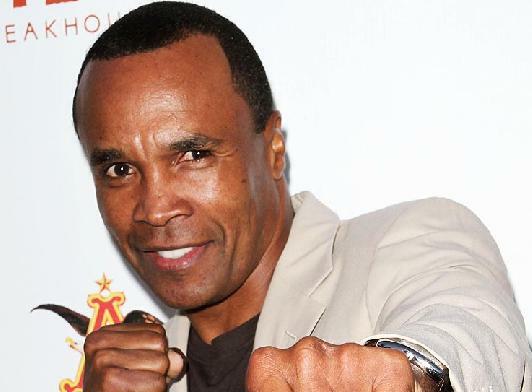 Norris helped put what was almost the final nail into the career coffin of ‘Sugar’ Ray Leonard in 1991 and defeated the likes of Don Curry, John Mugabi, Meldrick Taylor, Maurice Blocker and unbeaten Carl Daniels. Despite recording such stellar wins it is often thought that Norris, who competed in 25 world title fights and defeated 16 world champions, could’ve been on of the greats.